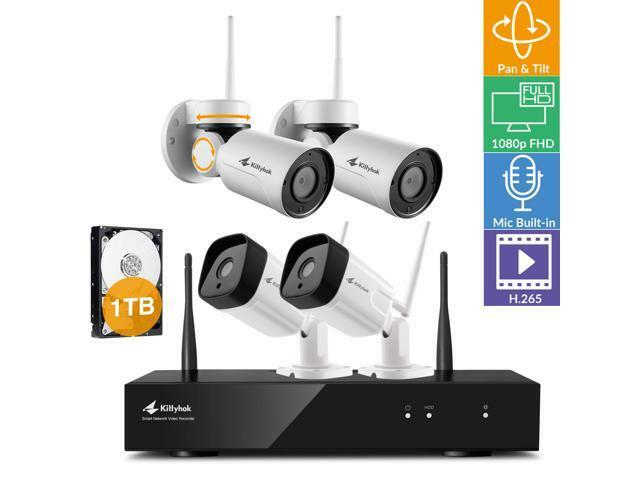 This wireless hybrid camera system comes with an 8CH 1080p HD NVR and two 1080p 6mm PT camera and two 4mm bullet camera as well as a 1TB hard drive. 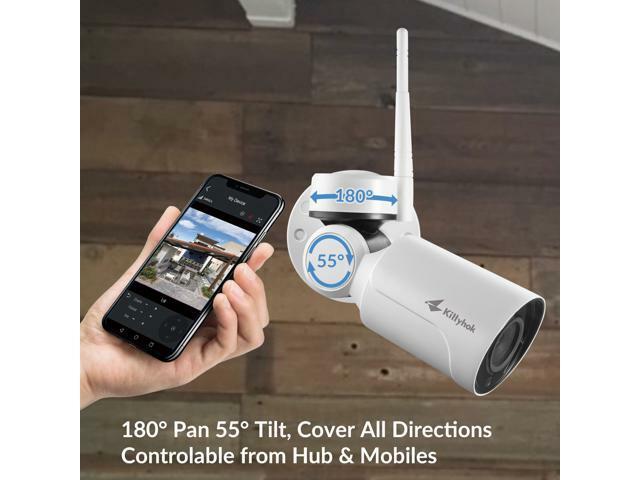 You can control the two PT cameras to pan and tilt locally and remotely on your phone. With built-in microphone, the cameras not only allow you to live view the images, but also allow you to hear the voices. [Wireless & True Plug & Play]-The powerful built-in router of the system offers larger WiFi signal coverage. 300ft with one concrete wall;2000ft on the open ground. 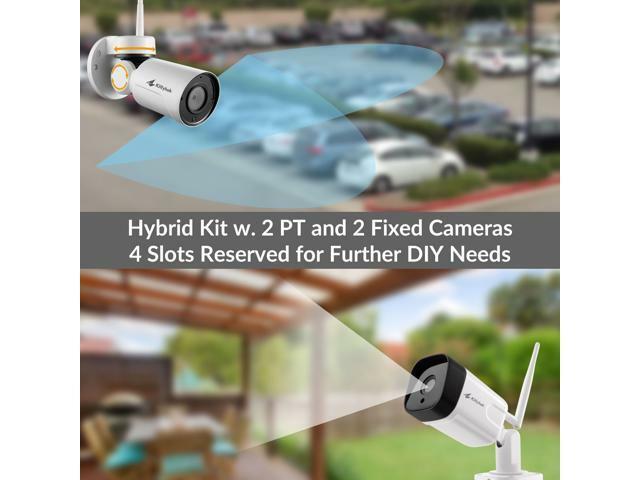 With the help of WiFi Relay technology (using cameras as repeaters to boost signals)the wireless reception distance doubles even triples.This system is super easy to set up. Plug the NVR and cameras to power, then connect the NVR to a monitor or TV, the videos will show up on the monitor immediately. 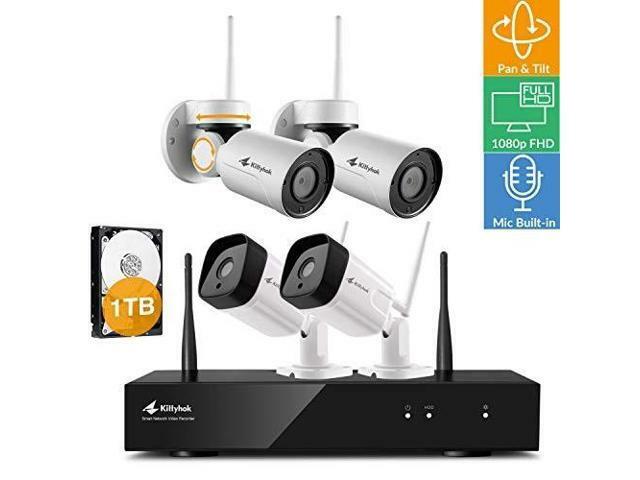 [1080p Full HD Video & Built-in Audio]: All 4 cameras are 1080p(1920x1080) full HD, which displays clear and crisp images and videos both at day and night. Night vision: up to 80ft even in the complete darkness. 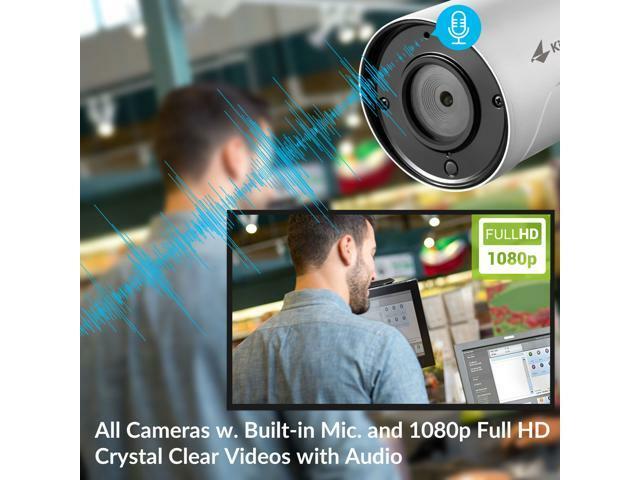 Cameras come with built-in audio/mics. 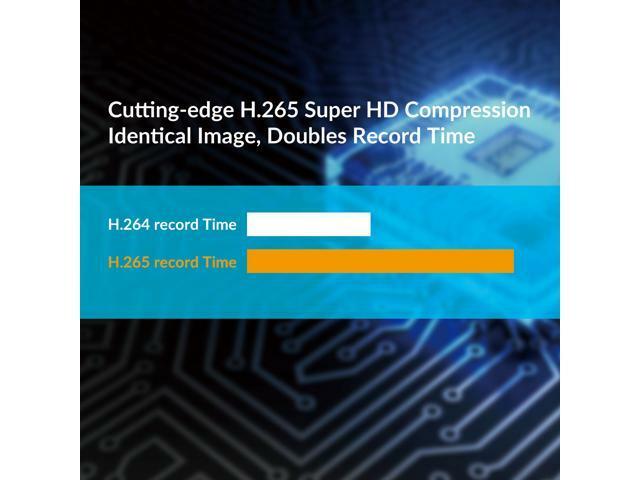 Go to System setting- CH setting- Encode setting, change Encode mode to AV stream. You can now see and hear what happens in and around the camera-covered places. 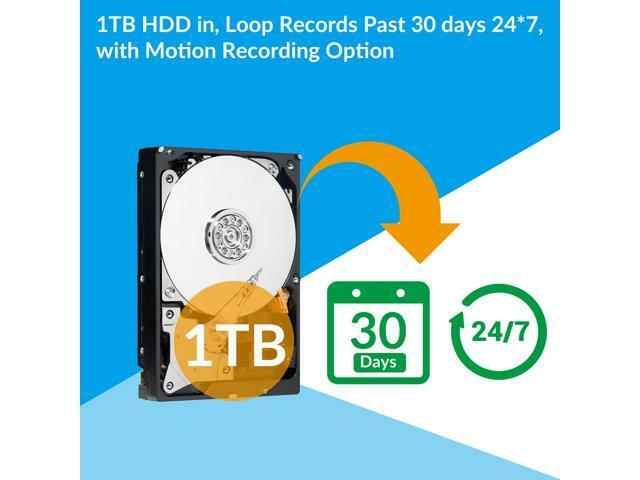 [Multiple Features-Locally&Remotely] Systems supports Video Record(Manual recording, Time-scheduled recording and Motion recording), Video Backup, Motion detection, Motion alerts (app notification & E-mail alerts). 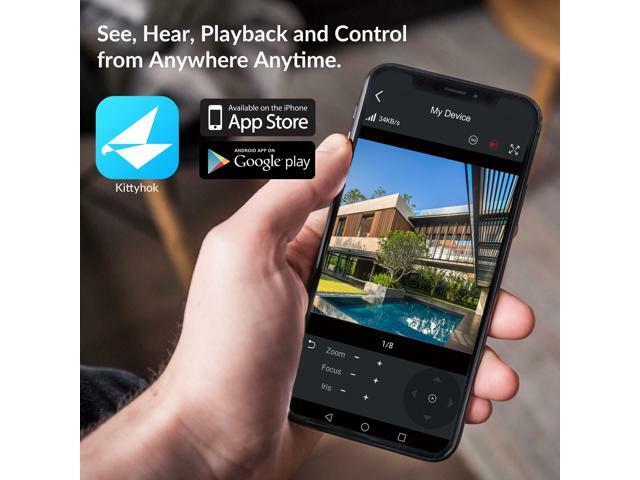 You can also connect your system to Internet and then add your system to the phone app (Kittyhok) or the computer program (EseeCloud), then you can view, record, playback videos on the phone and the computer remotely. Working Temperature: 14? - 122?